A little nostalgia. 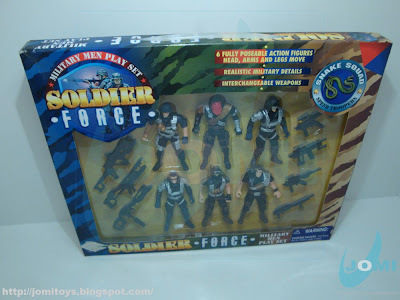 Series I Soldier Force "Snake Squad Speed Troopers" 6 pack. These were the starters of it all. 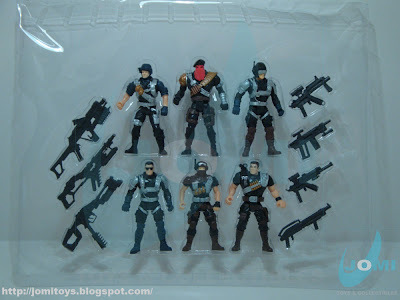 Many (if not all) G.I.Joe collectors remember this vividly. 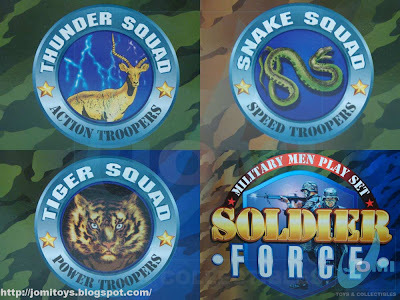 However, this is the "Snake Squad". A variation of the common olive green camouflage figures. 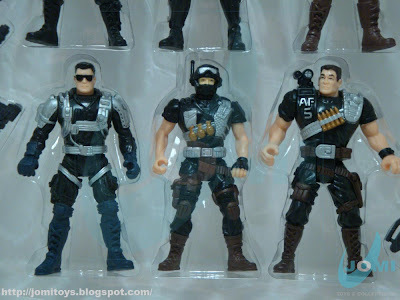 Center, a G.I.Joe Extreme-inspired figure. These 6 packs (especially this one) had an interesting painting. Even then, it was clear they wanted to do something good. They were trying, as they still are, I believe, to figure out the "fly". Trying different plastics, paint jobs, molds, scales. They´re pretty close. 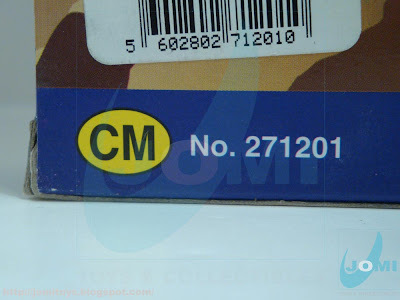 Yep, the first Chap Mei logo. 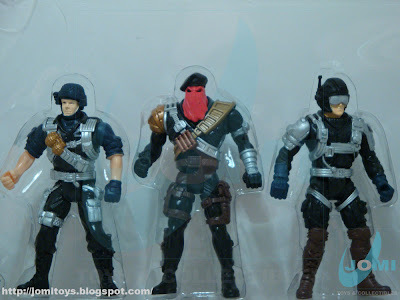 How much I regreat have let the one with the red mask go from my collection... It's a perfect guy for a custom. And the guns oversized let me sad. Great remakes of the Alien movies, but oversized... Grrrrrrrrrrrrrrrrrrrrrrr!!! Indeed, for the Madelman series, these weapons are perfect. I tried to get some military Madelman a while ago, but I could only find divers, fire fighters and such.